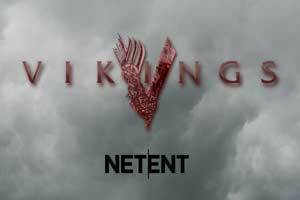 The Vikings video slot from NetEnt is raiding online casinos and settling as one of the years best slot games. This iGaming conquest is armed with stunning graphics, scatter pays, a shield wall and an awesome raid spins bonus. If that wasn’t enough, the game can transform into a 7-reel platform with a staggering 78,125 ways to win. You can play for real money from £0.20 a spin and win up to 200,000 x the bet level in any game. Let’s prepare to plunder. The Vikings TV Show is an epic, world-wide historical drama commissioned by the HISTORY channel. It’s violent, cool and brutally brilliant. 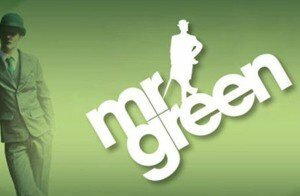 So there’s no surprise then that leading digital entertainers NetEnt would snap this one up. It’s a great idea for an online slot. The theme is strong, the in-play Norse bonuses work incredibly well and it’s absolutely engaging. Is the Vikings Slot our best game of the year? It might just be! NetEnt Vikings is a 5-reel, 3-row, 243 ways to win video slot that extends to a 7-reel and 5-row game engine with 78,125 betways. Based on the History TV series of the same name, Vikings features new gaming concepts from NetEnt including Hotspot and Shield Wall bonuses. In terms of real money play, bets begin at £0.20 with a maximum bet of £100 available. As for the payouts, this is the slots real strength. The huge paytable is brimming with loot at 96.05% RTP payout rate and 200,000 coins as the maximum win. Looking at individual symbol values, the slots jackpot is 70 coins for 7 x Vikings logos in a slot with medium to high variance. Payout power comes in the form of a hotspot on reel 3, a shield wall of mystery symbols and the much-anticipated raid spins. NetEnts handy work is clearly evident, graphics being one of the strongest points of the Vikings game. Set on the shores of a conquered land, snow falls, the wind blows and mist sets. Very few new online slot games can reach this level of excellence. On mobile, the Vikings mobile slot is equally engaging. 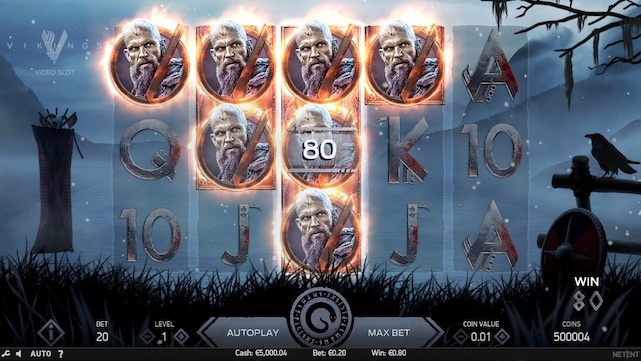 Using a game engine that expands the reel set to forge thousands of ways to win, there’s enough in Vikings to keep betting interesting and entertaining. On animation, I’d like to point out the extras such as flames, blood and flying arrows into the bonus symbols, this really is the icing on the cake. 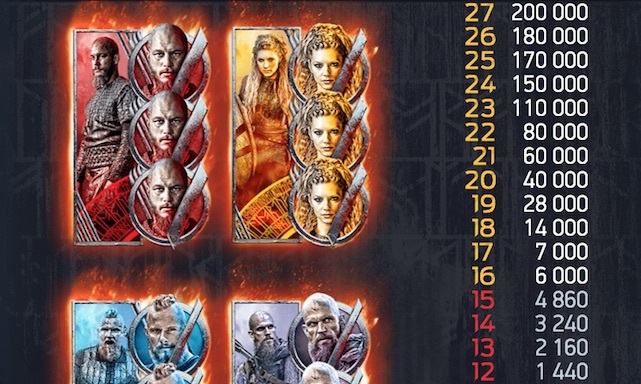 How much can you win playing the Vikings slot? Before betting on new online slots, I prefer to look at how much you can win with a bet. 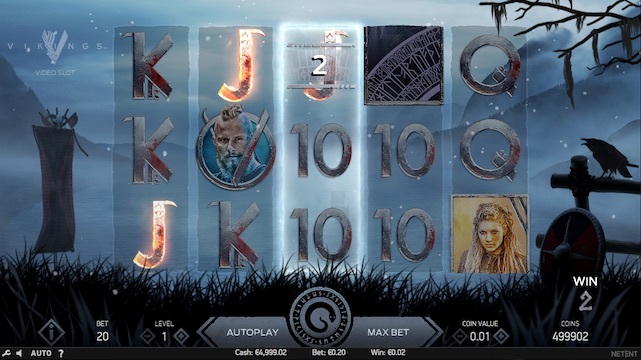 Like other game reviews on Slotsquad, we’ll look at some of the symbol values for £0.20 and £100 bets, the minimum and maximum stakes of the Vikings video slot. First if playing £0.20 a spin (£0.01 a coin) you can win £0.02 for 3 x low-value card symbols, 7 x Aces returns the bet of £0.20 while mid-table prizes sit just above the bet. By that I mean 6 x characters return £0.24 while 7 pay out £0.26. The Vikings Jackpot of 70 coins is just £0.70, but this is compromised by 243 ways to win extending to 78,125 in Raid Spins. If playing at £0.20 a spin, you can win up to 200,000 x £0.01 equal to £2,000 as the slots maximum win per game. At £100 a spin, high rollers will again be looking at small prizes but on a large scale. At this betting level, the coin value is £0.50. So putting this against the Viking’s slot paytable, you can just add a zero to each of the symbol values. So the lowest win is 20 x £0.50 (coins) = £10 for 3 low-value cards, 7 Vikings characters pay 280 x £0.50 = £140 while the slots jackpot win is £350. Given the base game engine of 243 ways to win on every spin, the prize potential is huge. 78,125 ways to win makes that potential significant. At £100 a bet, the 200,000 x £0.50 max win per spin becomes £100,000. As an example of compounding wins, I played Vikings in free play mode to test a multiple pay line win resulting from a feature. I activated Scatter Pays that resulted in a 1600 x £0.50 win, that’s £800. While the Vikings slot is all about mass pay lines, you can encounter some additional features that improve clashing with those pay lines. These include Hotspot, Scatter Pays, Shield Wall and Raid Spins. Reel number 3 is the Vikings slot special element that can increase wins in the base game. You’ll notice that this reel is surrounded by some kind of force, electricity, lightning, whatever. But regardless, this reel can help out. It’s called the Hotspot. When a Viking character lands fully stacked (in view) on the central reel, all other Vikings outside of the Hotspot are transformed into that same Viking. Next, the Scatter Pays pay table kicks in for any winning combos generated! The Scatter Pays pay table can pay out for up to 27 symbols, that’s because of cross-connecting symbols against improved values. Sounds clever, it is, but it just means you can win a lot of money with Scatter Pays. In both the main game and the Raid Spins Feature, the Shield Wall can appear at random to the sound of thunder and roaring Vikings. Shield Walls are effective win combo creators that will often generate big wins or mega wins. Shield Walls will only kick in if no other bonus has been granted or no win has occurred, this makes them very attractive. Once the Shield Wall has appeared, all shields will turn into a mystery symbol followed by a win evaluation. 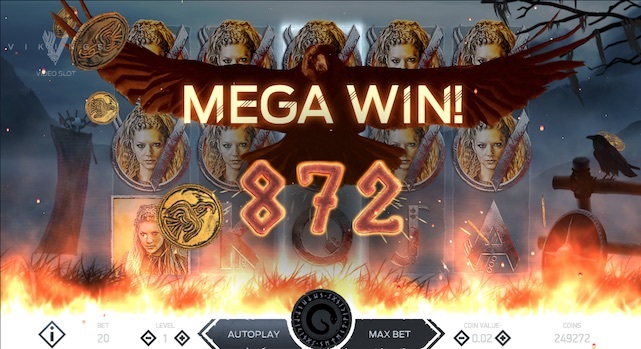 In the image above, the Shield Wall bonus has awarded a Mega Win, often represented by a flying bird animation, banging drums and a good feeling if you’re playing for real money. The Vikings Slot Raid Spins Bonus is the ultimate reward, but it’s probably easier to defeat a horde of Vikings than it is to find this online cash machine. Raid Spins is triggered by 3 shields appearing on reels 3, 4 and 5 (nicely followed by flying arrows) consecutively. Once activated, the Vikings video slot transforms into a 7-reel and 5-row gaming engine that’s capable of payout out across 78,125 bet ways. This is incredible slots design at work. So while the game is significantly larger, you’re then awarded 7 Raid Spins with Hotspots appearing on reels 3, 4 and 5. While this is happening, the graphics, sound and animation go up a gear, it’s fantastic. Another big plus is Shield Walls, they’re back in the best bonus of the game, making Vikings appealing to anyone with £0.20 in their back pocket. Raid Spins is effectively a war with wins, battling a huge paytable and reaping huge rewards at the end of it. 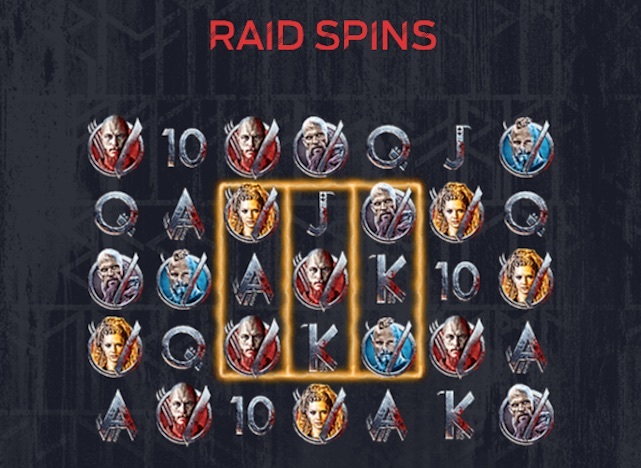 It can’t be re-triggered, it’s difficult to hit, but Raid Spins is one of NetEnt’s best features yet. And the big incentive? 78,125 ways to win! As 2018 bows out, the NetEnt Vikings slot is the headline act of the iGaming year. While the Vikings TV Show ends its sixth successful series, NetEnt’s timing couldn’t be any better. Who will like this game? Fans of the show, gamblers, anyone who likes their online video slots with the clanging metal of Norse mythology. But even if you don’t know or like the Vikings saga, for £0.20 a spin there’s a potential windfall like nothing we’ve ever experienced before. Are you ready to raid your favourite UK casino site?